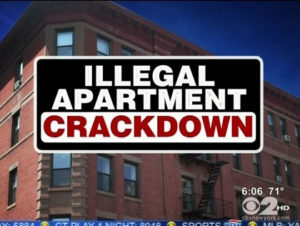 Illegal Rental Unit: What Landlords Need to Know NOW to protect yourself! To increase the profit potential of an investment property, some single-family rental home owners may be tempted to convert an unused basement, attic, or in-law suite into a separate apartment. However, creating a duplex or even triplex property out of a single-family home is not as simple as walling off a separate entrance. Adding an apartment into an existing house may violate local zoning ordinances and, if so, would be considered an illegal rental unit. Basement apartments are popular in some areas due to the shortage of affordable apartment homes. However, to be considered legal, a basement apartment must meet certain criteria including a minimum ceiling height, a minimum number of windows and exits, and possibly its own utility meters. The same thing goes for an in-law suite, which requires the proper zoning and permits to rent out – even to family members. You should also consider things like the availability of parking, how to guarantee proper refuse removal for all residents, and a host of other matters when thinking of making an illegal rental unit. 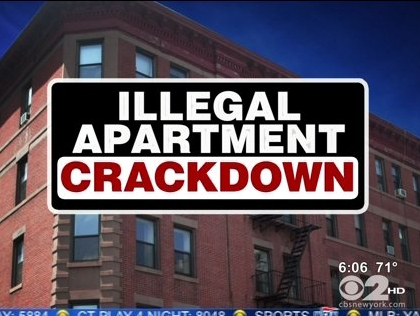 Leasing out an illegal rental unit is a liability minefield, both financially and lawfully. If you’re caught renting out an illegal rental unit space, there are a number of possible penalties you could face. You will likely be required to evict your resident and pay a large fine. You may even be ordered to pay for your resident’s relocation expenses, as well as any damages they claim. Your financial losses could be considerably more than your gains. Combining utilities with the main house is another potential hazard, as residents may not monitor their utility use if they never see a bill. It may seem easiest to simply include a flat amount for utilities in the rent, but if something does go awry with the lease you will have little legal recourse. Courts are unlikely to award you, as a landlord, any damage claims or to dismiss claims from litigious renters, if your space was an illegal rental unit to begin with. If you are not sure whether the apartment in your rental home is legal – or what to do about it if it isn’t – Real Property Management can help. We have property management professionals who understand zoning ordinances and can assist you in navigating the ins and outs of rental properties. We can help you to work with both the local zoning board and your residents to make sure that your property is legal and that it is positioned for optimal financial return. Salt Lake City; For Cause Evictions. What you need to know!